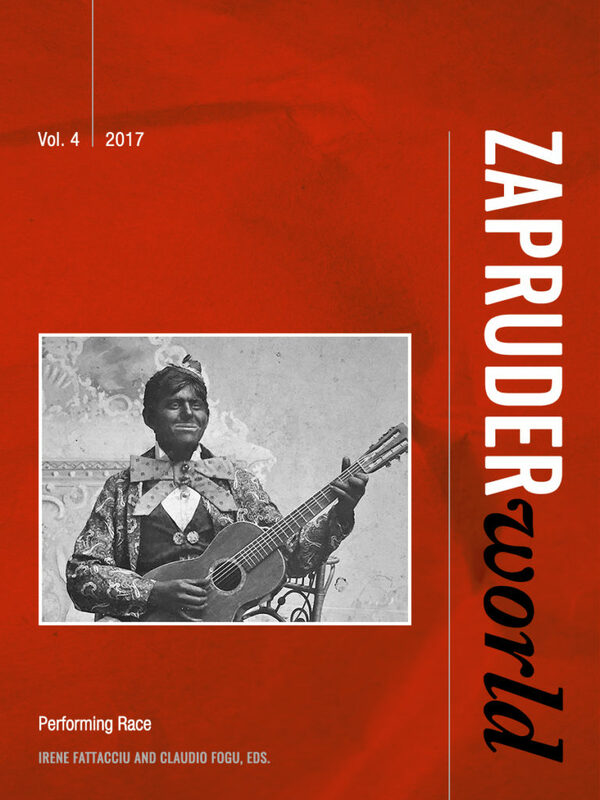 This inaugural issue of Zapruder World highlights one of the principal aims of the journal: to investigate and reflect upon methodological approaches that enable scholars to break off from the Western- and nation-centric cage, and the self-referential perspective that often accompanies the concept of “local”. We see a relationship of continuity rather than polarization between “local”, “national” and “global” scales, as well as between the “micro” and the “macro”, and also between flows, exchanges, connections, and diasporas, on the one hand, and individual and collective identities, on the other. Yet, rather than addressing these methodological and theoretical issues in abstract terms, we do it through a series of empirical studies around a monographic theme: the Italian contribution to the transnational anarchist movement. While surely appropriate to the scopes of our journal, the choice of this opening theme was neither a foregone conclusion, nor devoid of reflection. Why open a new journal on conflict, aimed at widening the definition of “conflict” itself, by focusing on a seemingly “traditional” form of conflict such as anarchism? And, why put the emphasis on Italian anarchists, since the goal is the exploration of new methodological perspectives and issues capable of challenging the centrality of the “national” perspective? The sense of our choice is in our willingness to lay the groundwork for a broad dialogue, rather than imposing a predetermined point of view. Our goal is to encourage the widest possible discussion around the methodological issues mentioned above. We wish to contribute new insights, and nourish the visions of those who are already convinced of the need to overcome methodological nationalism and Eurocentrism; at the same time we wish to provide concrete examples of the possibility of another way of doing history to those who are more or less consciously linked to those interpretations. The theme selected for this inaugural issue seems to us to fit our goals, since late 19th- and early 20th-century anarchism is a “traditional” topic in the history of social conflict, but also one that has been radically renewed in the last two decades. The new theoretical and methodological perspectives of global history, and ongoing debates in migration studies, for instance, have especially marked it. Important contributions have stemmed from this process, some of which have focused on Italian migration networks (anarchist and not-), as is the case of Donna Gabaccia’s work – now including her Afterword to this issue. More generally, the study of Italian anarchists—remarkable because of their number, their symbolic impact and their influence on the international literature—represents a concrete example of a renewed research field rather than a static and closed one. An article by David Turcato, originally published in the International Review of Social History (2007) and reprinted here, has synthesized the new trends in this field research. Turcato convincingly showed that the study of Italian anarchism, if conducted from a transnational perspective, makes continuity and organizational patterns visible, whereas the traditional national approach insists on the discontinuities and organizational shortcomings of the Italian anarchist movement. The reason for re-printing this article stems also from its representing a key moment in the evolution of the field: Turcato embraced a transnational perspective at the very moment when this approach was repeatedly put into question by other scholars (Wimmer and Schiller 2002; Bayly, Beckert et alia 2006). Starting from Turcato’s review of the field we have sought to focus on the rich field of methodological debates identified in that article, providing a wide range of contributions stemming from various approaches, from trans-locality and diaspora studies to micro-history and network analysis. Contributors were asked to be self-reflexive on their approach and to explain what it enlightens and what it overshadows. They were also asked to reflect on the impact their approach has on the selection and use of sources. The reader will judge how far this direction has been followed and has proven successful. As far as we are concerned, we wish to point to the fact that the contributions provide multiple, and arguably conflicting, theoretical and methodological insights, and that the very order by which we decided to present them in the issue is aimed at highlighting this feature. Thus, María Migueláñez Martínez’s essay most closely resembles the transnational methodological approach proposed by Davide Turcato in the reprinted article that precedes it, as it literally leads us across the borders of four nations (Italy, Argentina, Uruguay and Spain). Andrew Hoyt also explicitly refers to Turcato’s suggestions as a starting point for his exploration of a single anarchist pamphlet, although one gets the feeling that his focus on material culture opens up additional perspectives for research in this field, more closely related to network analysis. Kirwin Shaffer makes a convincing case for the need to address both circulation (the “lines”) and specific contexts (the “dots”), as a means to deal with the continuous dialectics between differences and analogies—an argument that reaches the very foundations of global history, far beyond the field of anarchist studies. Ilkay Yilmaz‘s contribution points to the same local-global connection, but somehow reverses the point of observation, by focusing on State-sponsored anti-anarchist networks (and control policies) rather than on those created by anarchists themselves. This issue also points to the need for a spatial expansion of the research field. Whereas Hoyt’s essay relates to the North Atlantic—definitely the most researched area in the field—two contributions are made here on Italian anarchists’ activism in Latin America (Shaffer and Miguelañez) and in the Ottoman Empire (Yilmaz). Spatial expansion is accompanied by attention for the temporal dimension, especially as far as the different generations of Italian anarchists in the period 1870-1939 are concerned. Miguelañez’s focus on the period between the two world wars also stands as an example of the potential to go beyond the “traditional” late 19th- to early 20th-century focus in anarchist studies. Finally, starting from the perspectives of the most recent literature, and in keeping with the goals of this journal further research issues are highlighted by all the contributions, and, in particular by Donna Gabaccia in her Afterword: the relationship between Italian anarchists and anarchists from other geographical areas; the connections between “political” migration and “economic” migration; the gender dimension in migration networks, diasporas and the anarchist movement. The relationship between “national” identity and the Italian anarchists’ internationalism is also addressed, together with the (individual and collective) perception of the “national” and the “international” that was shared by the men and women who stand central in this issue.